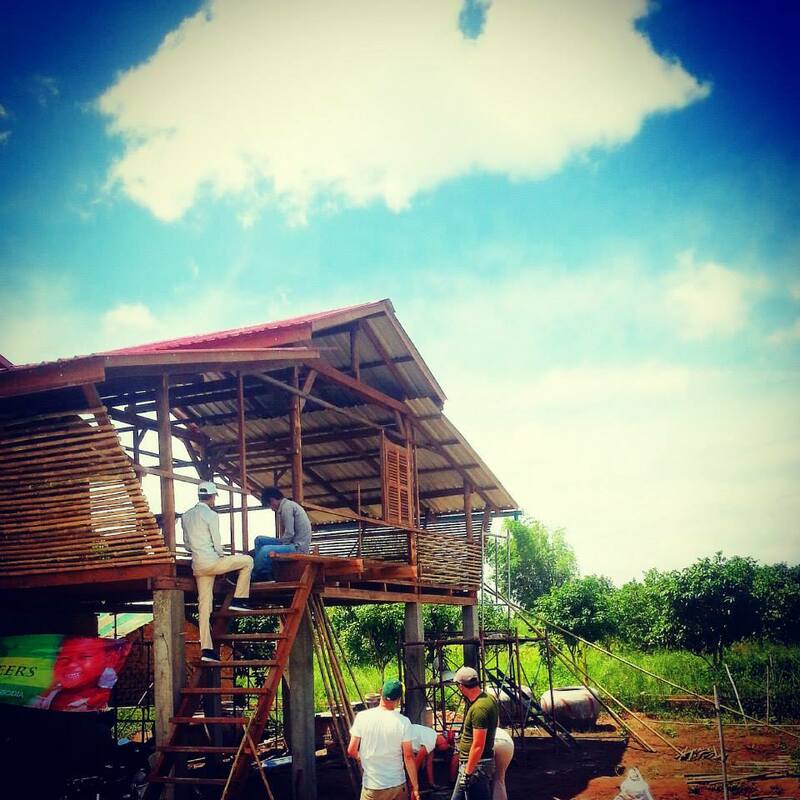 Building Trust International are working with Habitat for Humanity Cambodia and a great group of Canadian volunteers as well as the recipient family to build the next Framework house. 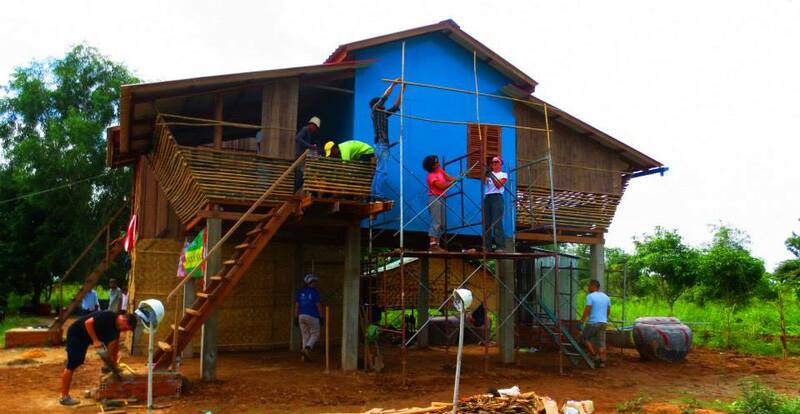 The new house design from COLE takes just over one week to complete, using locally sourced materials and will give a widow and her family a safe, flood resistant home which they can invest in over time providing security and long term support. 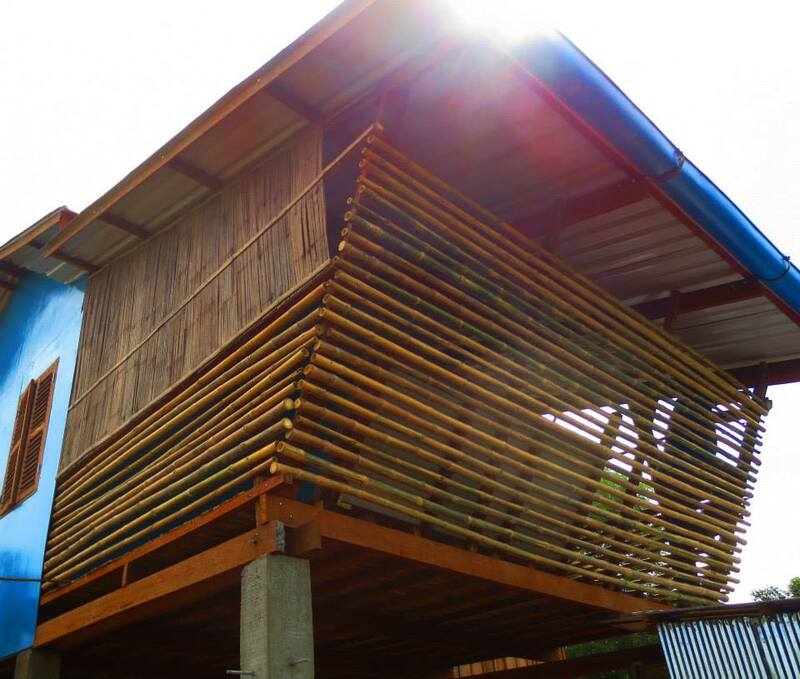 The design doubles the floor area of previous Habitat for Humanity homes by using bamboo and durable local timber. The roof is a nod to the traditional split trusses which increase ventilation inside and help with passive cooling. The Framework House has allowed for family and community engagement from the start in selecting living spaces and the layout of domestic areas. It will go on to provide a structure in which safe expansion and incremental investment can take place to meet the families needs. 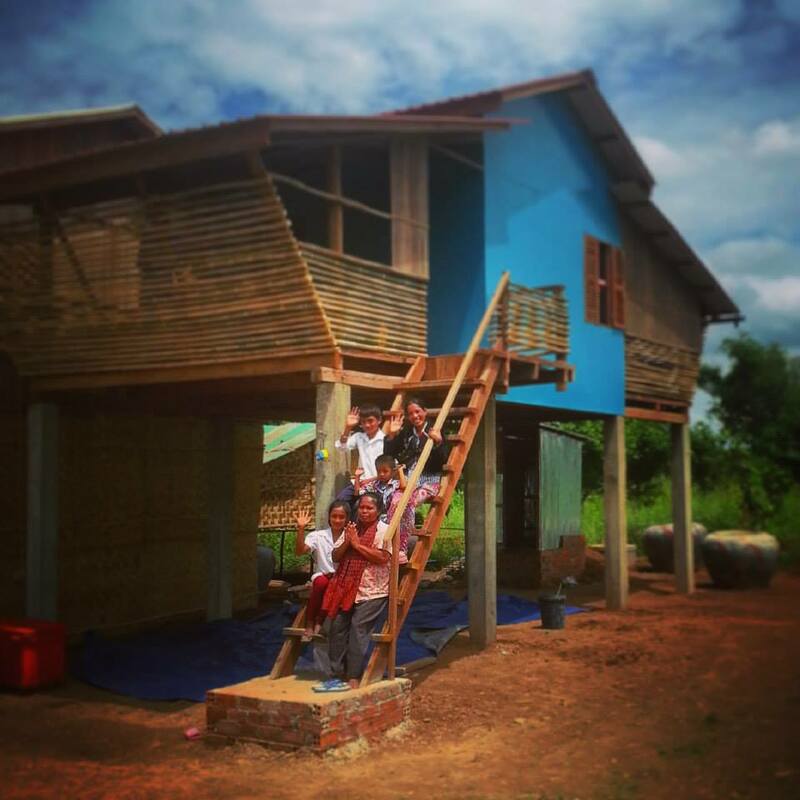 The amazing team from Canada helped us to build a fantastic new home for San Thida, her mother, daughter and 2 sons. 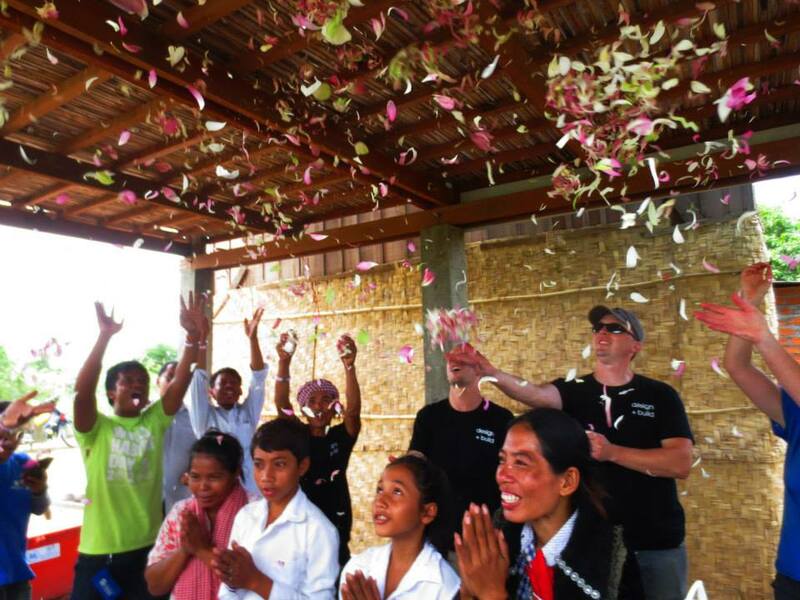 And for good luck, lotus flowers are thrown into the air over the home family. We will be building a further 8 Framework Houses over the upcoming weeks and look forward to sharing more photos.